Address: Department of Computer and Systems Science, Royal Institute of Technology and Stockholm University, FORUM 100, S-164 40, Kista, Sweden. Janis A. Bubenko jr has a MSc 1958 (Chalmers) and PhD 1973 in Information Systems (Royal Inst. of Technology). He was appointed professor in Computer and Systems Sciences at University of Gothenburg and Chalmers Univ. of Technology 1977-81, and at the Royal Institute of Technology and University of Stockholm 1982 - 2000. 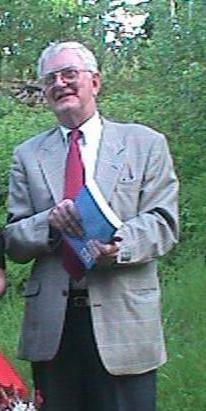 Since 1 Feb. 2000 he is professor emeritus. He is the founder of the Swedish Institute for Systems Development, SISU, and was its managing director during 1985-92. Bubenko is the author/co-author of seven textbooks in the areas of Information Systems Development Methods, Performance Analysis of Data Processing Systems, Operating Systems, and Conceptual Modelling Methods. He is the author/co-author of more than 150 research reports and published articles. Current research includes Requirements Engineering and Enterprise Modelling methods. Bubenko has had the general chair of IFIP TFAIS (Theoretical and Formal Aspects of Information Systems) working conference 1985, CAiSE'90 Stockholm, and EDBT'94 in Cambridge, U.K. He was program chair of VLDB 1978 in West Berlin, of CAiSE'91 (Conference on Advanced Information System Engineering), Trondheim, and of the Baltic DB'94 workshop on National Infrastructure Databases in Vilnius. He was the program co-chair of WITS*98 in Helsinki. He has been a PC member of more than 50 international conferences and is associate or advisory editor of six scientific journals. He has been engaged as reviewer of NSF, CEC, the European Commission, and other funding organisations. Bubenko was vice president of the VLDB Endowment 1985 - 1989, and its president during 1990 - 1993. He is also member of the board of the EDBT Foundation. He is a member of ACM , IEEE Computer Society, and IFIP Working Group 8.1.He is also advisor to the CAiSE conference events as well as to the Baltic DB & IS conferences. He was engaged as Program Chair for the First Conference on History of Nordic Computing (HiNC 1), held at NTNU, Trondheim, June 16 - 18, 2003, and is co-editor of the conference proceedings, to be published by Kluwer. In 2004 Bubenko was awarded a honorary doctorate of engineering by the Riga Technical University, Latvia. He was appointed ACM Fellow the same year. In 2010 he was awarded a honorary doctorate by University of Latvia.